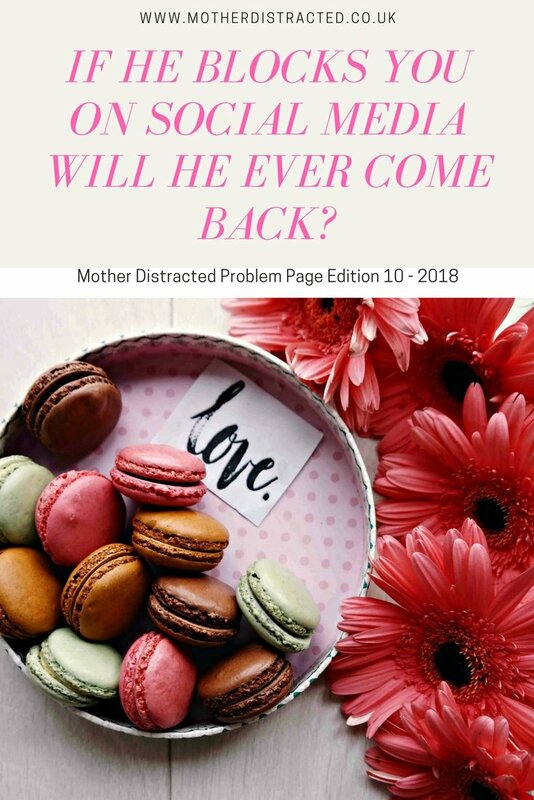 In problem page edition 14 of 2018 from your online relationship coach – when a 5-year-old picks on your 3-year-old, when your boss sees your Facebook posts and isn’t happy and how to deal with a married man who pretends to be single to sleep with you. Here are the questions for problem page edition 14. Q: How do I deal with other people’s kids being mean to my kid? My son is 3, and I had a 5-year-old girl yell at him, and threw cushions, unprovoked. I told him people don’t always want to play, and we need to respect that, but what do I say to her? A: Tricky. Lots of parents would say you have no right to say anything at all to the 5-year-old girl. In your shoes I would have said to her, gently, if you can’t play nicely then your boy won’t be playing with her today. But you know at 3 and 5 this is pretty much normal toddler behaviour. It’s all about boundaries and attention. And don’t worry, most kids will strike back when they have had enough. Try to resist the urge to ‘helicopter parent’ because it will make you incredibly stressed about what is a normal process. Be vigilant and ready to step in but don’t cramp natural play. By the way, where were this girl’s parents? Your first port of call, if you are concerned, is to address the matter with them rather than their kids. And possibly to seek better playmates or a gentler play environment, nursery or soft play centre. As the last point, I have sat in so many play centres and watched as parents just let their kids play unsupervised whilst they stare at their phones. That way trouble lies …. Q: I got in my father’s face after an argument, I’ve never done that before and I don’t know what the hell got into me. I need help and advice. Can somebody help me? A: Calm down. I’m assuming you didn’t actually hit him. This is perfectly normal for parents and kids. It’s part of the process of becoming a separate adult, establishing a new relationship and pushing the boundaries. It is natural to rebel against others’ restrictions and rules. You only have to watch the TV news to see that. The important thing is to be clear about what the issue was and whether you acted reasonably. In law, we talk about what the ‘reasonable man’ would have done (or person these days I suppose). Did you have good reason to be riled or were you just ‘kicking off’? Is there a need for a good chat to clear the air and understand your dad’s point of view? The opportunity for both of you to apologise possibly? Rather than stew about this and sink under a mire of guilt, try to understand his point of view and then go and make it up with him – or at least try to come to a new understanding that will let you both relate to one another in a more useful way than shouting and bawling. Q: My Facebook profile is private and I have no higher-ups on my friends list, yet my boss has seen my posts. It was nothing bad, but he took it personally. What are my rights in this situation? A: I’m not sure you have any comeback because even though your Facebook profile is private, your posts may well be considered as being in the public domain. As I’m sure you’ve learned, it is NEVER sensible to criticise your boss or colleagues on social media because it may well come back to bite you. It doesn’t matter whether you didn’t mean to cause offence. Your boss probably feels you shouldn’t be discussing work matters on a public forum and actually saying “he’d flip” does imply your boss might not be the easiest person to work for, don’t you think? Has your boss disciplined you formally for this or has he just told you off? Q: Why is it that only narcissists can make me feel alive and motivated, albeit just for a short while, during the love bombing stage before they drain me out? Why can’t a healthy person make me feel that way? A: What you are describing is the perfectly normal stage of falling in love. It has nothing to do with narcissism, or narcissists, or abnormal people. A healthy person can make you feel that way but I’m guessing you love the drama, the chasing, the fear of rejection. Can I gently suggest that the problem actually lies with you and your expectations of a relationship? You need to find the right person for you and then the feelings you describe will naturally follow. Don’t buy into the psychobabble about narcissists. People are usually just people. They are not all evil love-machines waiting to get us. I think the best thing for you to do at the moment is to concentrate on making friends and getting to know potential partners as people FIRST. You’ll find you’ll have a much sounder basis to build a relationship on, you’ll know what kind of people they are by observing how they treat others and you’ll learn whether they are worth considering as a romantic partner. Q: If a woman didn’t respond to your text asking for her availability for an upcoming date, should you ask her again? A: No you act like an adult and ring her. Her response will tell you everything you need to know and you’ll gain her respect for taking the initiative and not behaving like a teenager. Q: I unfollowed the person who initially unfollowed me on Instagram. Next day he sent a follow request again. Should I accept his follow request and in return send him a follow request too? A: He might have accidentally unfollowed you. Do you think you are possibly overthinking this? If he sends you another follow request and you accept then you’re following him. You don’t need to send him another follow request! Following / unfollowing often has nothing to do with attraction or an imminent declaration of undying love you know. If you want to follow him, then follow him. But try not to read things into something that happens every second across social media. Q: How can you deal with a married man that pretends to be divorced so he can sleep with a single lady? A: You remove him from your life of course. He’s a liar and a cheat. I answered a question from a lady in a similar position who was hell-bent on phoning up the wife and letting her know what her husband was up to. 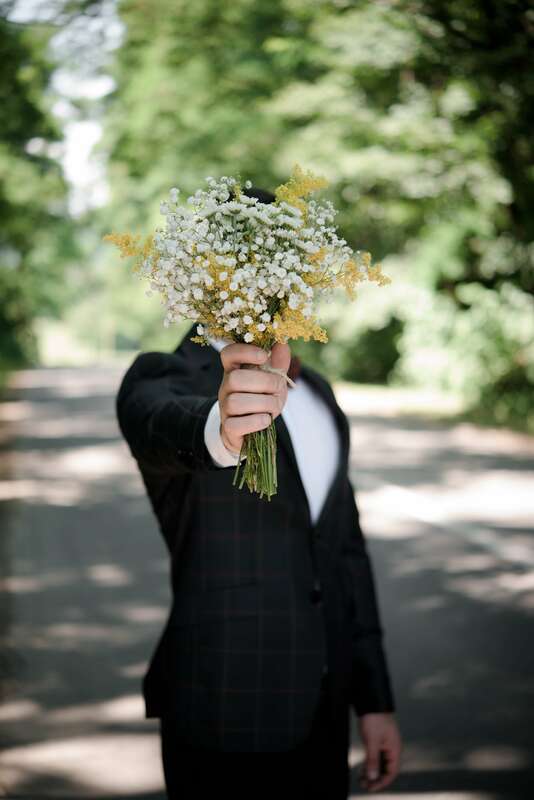 I wouldn’t do that – chances are she knows or suspects and doing things like that is unlikely to send him rushing into your arms. Remove yourself from the situation with dignity would be my advice. "Bartholin’s Cysts – The Rarely Discussed Nightmare"